This Labrador Retriever nicknamed Colt sold and went to a new family. 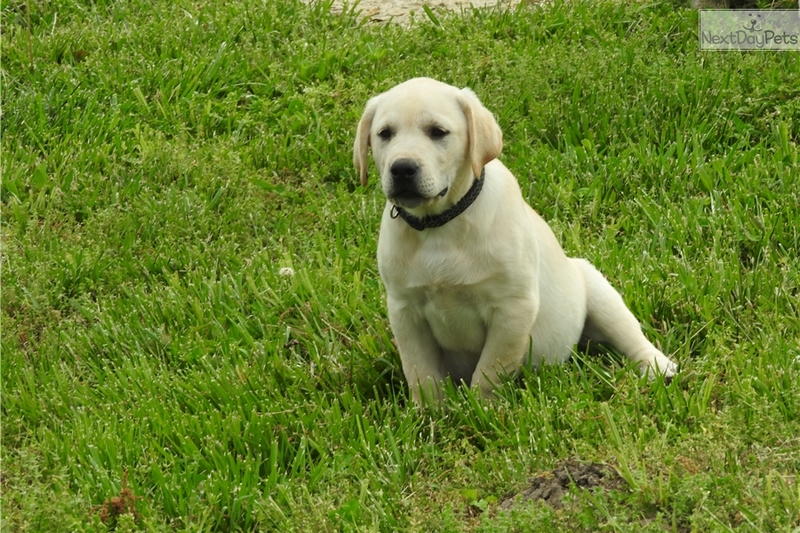 We have a litter of AKC yellow English labs ready for their forever homes by April 11th. They will be up to date on all vaccines and dewormings. Both parents are great family pets. Sire is AKC DNA tested and OFA excellent. Puppies are played with and loved on a daily basis and have a lot of interaction with our children. we strive to have a good living environment for our 4 legged family members.